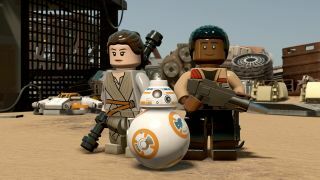 Lego Star Wars: The Force Awakens is full of action, adventure, and a buttload of collectibles. Minikits are back as you'd expect, and each level is home to 10 of them. Prepare to revisit the levels in Freeplay mode with newly unlocked characters to get hold of the Minikits that may have eluded you in the Story mode. And even better, as soon as bag all of the Minikits in a level, you get a Gold Brick. You're probably too excited to even function after that news, so we'll help you out with our complete guide to their locations.